Saubhagya scheme will turn around the fortunes of such families, PM Narendra Modi said, explaining its name which means good fortune. PM Narendra Modi launched the Saubhagya scheme that will free electricity connections to the poor. Prime Minister Narendra Modi on Monday launched the 'Saubhagya scheme' to give free electricity connections to poor families in both cities and villages by 2018 with a total outlay of Rs 16,320 crores, which will be funded largely by the centre. No poor person will have to pay for electricity connections, the Prime Minster has said. "New India will not only have power in all villages but in every home," said PM Modi on Monday evening while announcing the scheme, adding, "We have decided the burden for this will not be borne by the poor. The poor used to have to go around in circles trying to get power... the government will now go to their homes to give them electricity." Four crore homes in the country still don't have power connections, which means that of the 25 crore homes in India, "25 percent people are without power, living in 18th century," PM Modi said. The scheme will turn around the fortunes of such families, PM Modi said, explaining its name - Saubhagya means good fortune. The government had said it plans to bring electricity to all villages by 2018. Monday's announcement was made at a function following the BJP's national conclave where over 2,000 leaders of the party endorsed the government's fight against terror and black money, GST, its pro-poor programmes and lauded the handling of the Doklam military standoff with China. The government has said it aims to provide electricity to all homes by December 2018, with a target of reaching power to all unelectrified villages by the end of December this year. 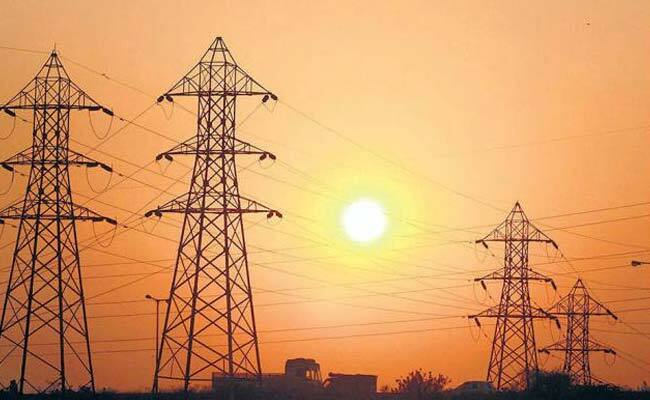 The beneficiaries for free electricity connections would be identified using Socio Economic and Caste Census (SECC) 2011 data, the government said. Families not covered under the SECC data would also be provided electricity connections under the scheme on payment of Rs 500 which shall be recovered by the service providers in 10 instalments through electricity bill, it added. In 2015, PM Modi had announced that the government would electrify all 18,452 villages without power in 1,000 days in his Independence Day speech. However, the Power Ministry is expected to electrify all habited villages by December this year. According to the government, out of the 18,452 villages, 14,483 villages have been electrified so far. The electrification work is in progress on 2,981 villages while 988 villages are uninhabited.